Corelis is dedicated to informing electronics manufacturers, engineers, and students of the benefits of JTAG Boundary-Scan technology. Please navigate below to browse Corelis resource offerings and information. If you cannot find what you are looking for, please feel free to contact us. Corelis Whitepapers area provides you with additional information to JTAG related topics. These demos provide a brief overview of Corelis software and hardware testing and programming capability and will attempt to provide an overview of the major features of the each product. These tutorials provide a brief overview of the JTAG architecture and related technologies, along with the new technology trends that make using JTAG essential for dramatically reducing costs, speeding test development, and improving product quality. Corelis Design Tips and Guidelines area provides you with useful tips and items to consider for successful Design and Testing covering architecture, board-level design, and optimal test coverage. FAQ and Glossary area provide answers to frequently asked questions and definitions to terms that are frequently used throughout the Corelis website. These demos provide a brief overview of Corelis software and hardware testing and programming capability. These demos will attempt to provide an overview of the major features of the each product. This article provides a brief overview of the JTAG architecture and the new technology trends that make using JTAG essential for dramatically reducing development and production costs, speeding test development through automation, and improving product quality because of increased fault coverage. The article also describes the various uses of JTAG and the tools available today for supporting JTAG technology. This article provides an overview of Boundary-Scan Description Language, BSDL, which is widely used within the IEEE 1149.1 / JTAG community to enable consistent, accurate and useful information to be defined for a boundary-scan-enabled device. In this way, the chip can be incorporated into a design, and its capabilities used to their full in the most efficient manner. A working boundary-scan chain is one of the most critical pieces to performing successful boundary-scan tests. These suggestions provide design engineers the knowledge to correctly implement boundary-scan chains in their projects. Board level design has great importance for successful boundary-scan testing. 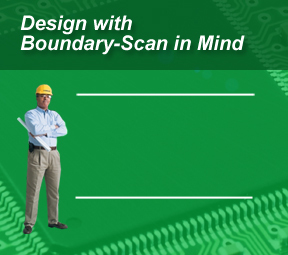 Because boundary-scan begins at the IC level, it is important that designer engineers follow basic PCB design guidelines to provide useable boundary-scan implementation for all departmental applications. 100% test coverage is what everyone strives for, but is extremely difficult and expensive to achieve. These suggestions will help anyone looking to add test coverage into their products using boundary-scan testing. IEEE Standard 1149.1, commonly referred to as JTAG, provides a convenient and standardized method to communicate with embedded devices. FAQ areas provide answers to frequently asked questions. Glossary area provides definitions to terms that are frequently used throughout our website. Invest in piece of mind by implementing boundary-scan early. 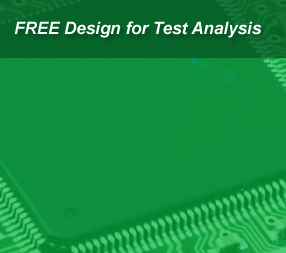 Let Corelis analyze your PCB design for test capability to minimize reliability risk. 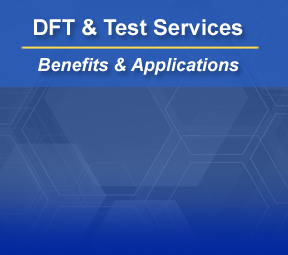 Corelis is offering first time users a FREE, step-by-step boundary-scan Design For Testability (DFT) analysis of your design. We will review your design and make specific recommendations that if implemented will improve the testability of your board and will reduce the odds of “respinning” your first prototype. Design engineers will benefit by implementing a boundary-scan friendly design. Copyright Corelis 2017. All rights reserved.